You can take Marcus Mariota out of Hawaii, but you can’t take Hawaii out of Marcus Mariota. 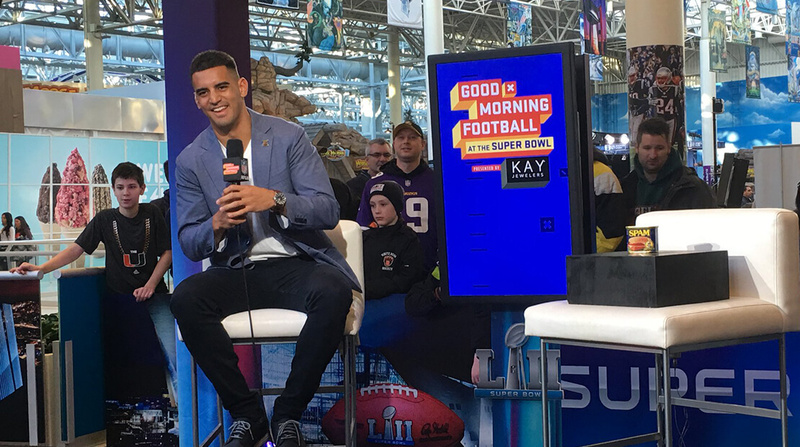 During the gauntlet that is Super Bowl media week, Mariota made an appearance in Minneapolis to talk about his new head coach Mike Vrabel, who he thinks will win the Super Bowl, but most of all he talked about some of his favorite things. From electronic dance music to listening to Sammy Johnson and The Green while working out, Mariota also admitted his love for a local specialty: Spam musubis.